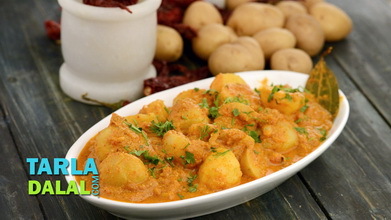 A richly-flavoured potato dish from the Mughlai repertoire, Aloo Lajawab is prepared in the typical opulent style of the Nawabs, with lots of dairy products and cashews too. 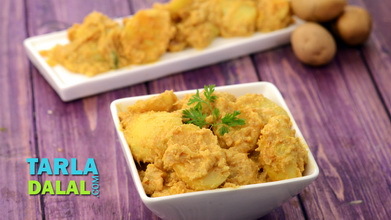 Cashews are used not just in the paste but also halved and added along with the potatoes to add a lovely crunch to the dish. 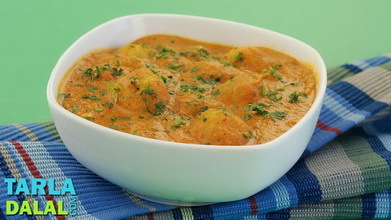 While the milk, curds and cashew paste contribute a creamy mouth-feel and luscious texture to the Aloo Lajawab, the caraway seeds and spice powders give it an enchanting aroma and tongue-tickling flavour, which will surely make you lick your fingers clean, and yearn for one more helping of this delicious main course. 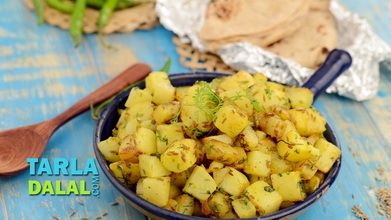 Heat the oil in a deep non-stick kadhai and deep-fry the potatoes in 2 batches, till they turn golden brown in colour form all the sides. Drain on an absorbent paper and keep aside. 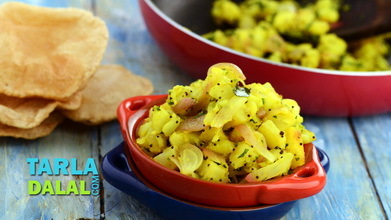 Heat the ghee in a deep non-stick kadhai and add the caraway seeds. 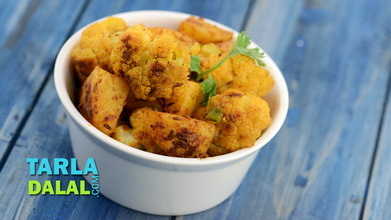 Add the cashewnut halves, turmeric powder, garam masala, chilli powder and cashew paste and sauté on a medium flame for 1 to 2 minutes. 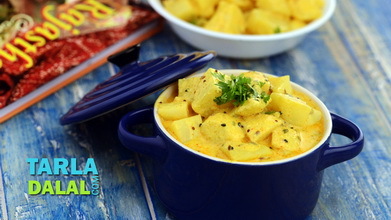 Lower the flame, add the curds, milk, ½ cup of water and salt, mix well and cook on a slow flame for 2 to 3 minutes, while stirring occasionally. 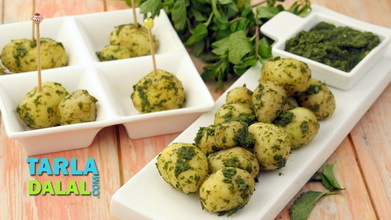 Add the deep-fried potatoes, mix gently and cook on a slow flame for 2 to 3 minutes, while stirring occasionally.